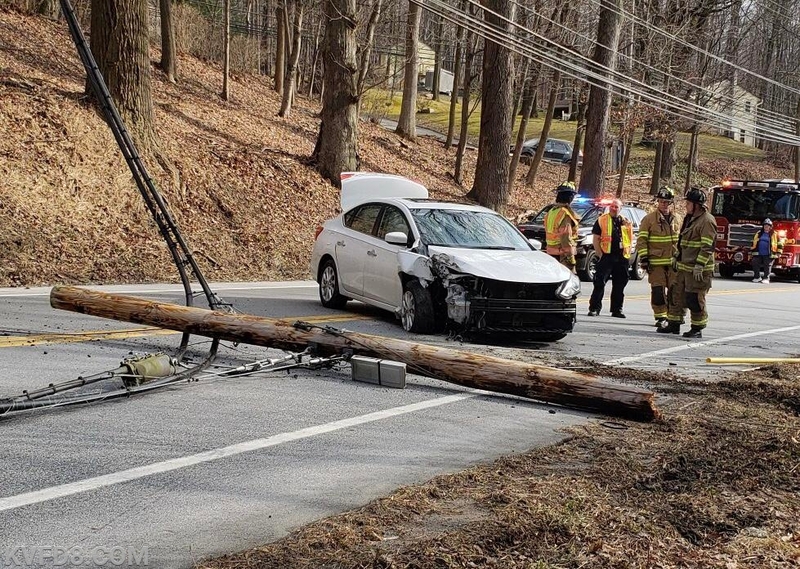 On Friday afternoon at 1:10 PM, KVFD was dispatched to an accident involving a car striking a utility pole in front of Crystal Springs on Rt. #10. Upon arrival Capt. Delestienne assumed command. There were no injuries but the roadway would be blocked until Verizon was able to clear the pole and wires. Verizon was requested and fire police from KVFD and SFC temporaily shut down the road. The accident is being investigated by the Parkesburg Borough PD.